In India it was launched in 2004 and till date 363 schools have received the award. 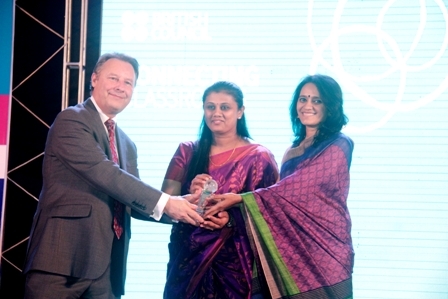 Manasarowar Pushkarini Vidyashrama is indeed proud that we are the first school in Mysore to have received the the International School Award, British Council which is valid for a period of 3 years 2013-16. As part of this programme the whole school had been involved in various projects of International dimensions from September 2012-July 2013. The entire ISA activities span for a period of a year and a completely international dimension to education can be achieved only through crossing barriers and reaching out to schools across the world.